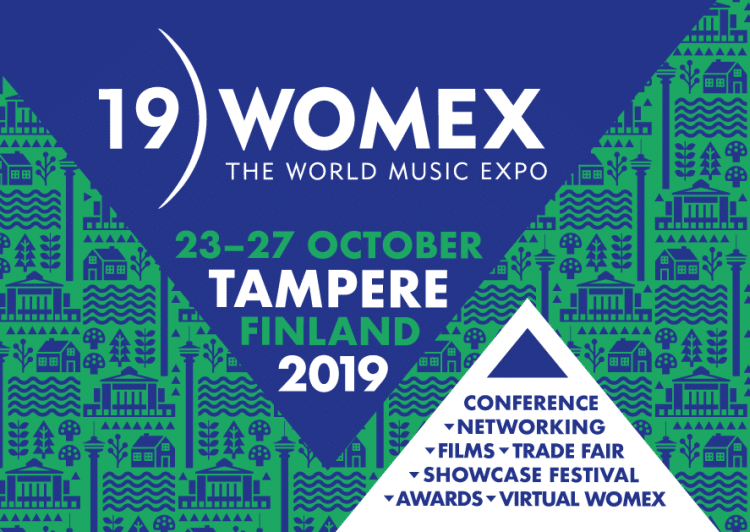 WOMEX (THE WORLD MUSIC EXPO) travels to Tampere In 2019 to celebrate its 25th edition from 23-27 October. The Showcase, Club Summit and Conference selection is made each year by an independent Jury, and the Film programme is curated by the in-house Film team. The call for Proposals is open now! WOMEX presents a specialised Club Summit, showcasing DJs and producers from all musical backgrounds and global electronic music scenes. We encourage DJs/producers of any genre, medium and background to apply and bring their sounds to the world! WOMEX is seeking proposals from representatives from every sector, to move the industry forward by presenting their visions, mapping out ideas or sharing hands-on expertise. Come discuss your viewpoint and of course, network with your peers. WOMEX Film provides a platform to connect the international music and film communities by presenting documentaries that portray music, movements and histories from across the world. Apply to have your feature, middle-length or short film shown at WOMEX. In order to apply to take part, please ensure you propose your band, artist, conference topic, interactive session idea, network or film through the proposal forms. WOMEX receives many high quality proposals for a limited number of slots, so please make sure you have all your proposal materials ready and submit your proposal on time.